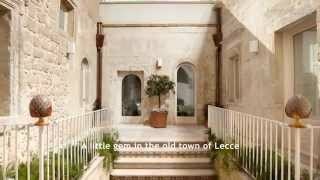 This is the dish that most strongly defines traditional Puglian cuisine. 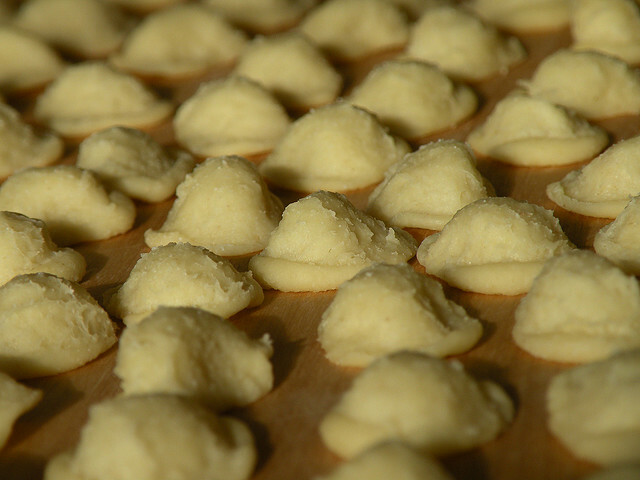 The name “orecchiette” derives from the shape of this pasta, in the form of a little ear. 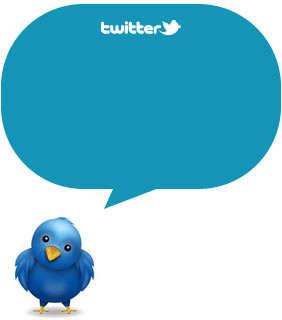 The word for ear in Italian is "orecchio." - Rinse the broccoli thoroughly and remove any particularly hard-feeling large leaves. - Chop off the large ends of the thickest stalks. - When done, rinse again. - Throw greens into in a full pasta pan of boiling water (including ½ tablespoon of salt, which helps the greens stay green). - When the thickest stalks soften, you’re done (roughly 5–7 mins). - Use a spaghetti spoon or sieve spoon/tongs to remove leaves from the water. - Put leaves on a plate and keep the flavored water – use it to boil the pasta! - Cover the base of frying pan with oil. Add the garlic clove and fry on medium heat until golden. - Take pan off heat and remove clove. - Turn off the heat, add the broccoli, teaspoon of chili powder and pinch of salt. - Turn the heat back on and fry 2-3 mins until excess water evaporates. 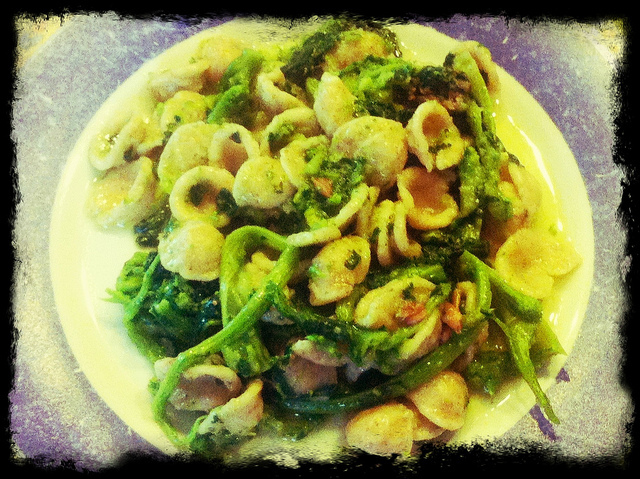 - Get the brocolli water boiling, add small spoonful of oil, and cook the orecchiette as per its packet’s instructions (or just 2 mins for fresh orecchiette). - Drain pasta, add to frying pan along with a handful of grated cheese and mix through over a medium heat for 2 mins. 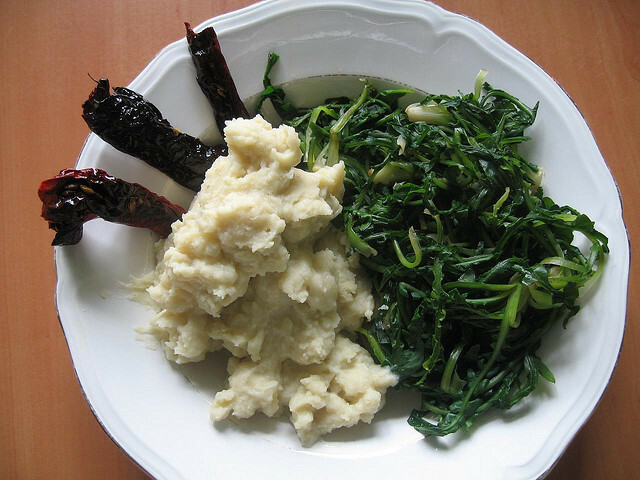 Puglians are fanatical lovers of greens, and if you visit Puglia during the winter monts you can be almost certain of being offered Fava Bean Puree, usually accompanied by Chicory Greens and a drizzle of extra-virgin olive oil. Peasant food of the finest kind! 1. Put the beans and potatoes in a pot, add enough water to cover, and add the salt. Bring to a boil and boil uncovered for about 30 minutes, or until the beans are tender but not mushy. Drain, reserving 1/4 cup of the cooking water. 2. Transfer the beans and potatoes to a food processor. Add 1/4 cup plus 2 tablespoons of the oil and the reserved cooking water, and puree smooth. Remove the puree to a saucepan and keep warm over very low heat. 3. Bring a large pot of water to a boil. Add the chicory and cook until tender, about 20 minutes. Drain well, and spread the chicory on a serving platter. 4. Spoon the fava bean puree over the chicory. Drizzle the remaining 2 tablespoons olive oil over the top and serve immediately. 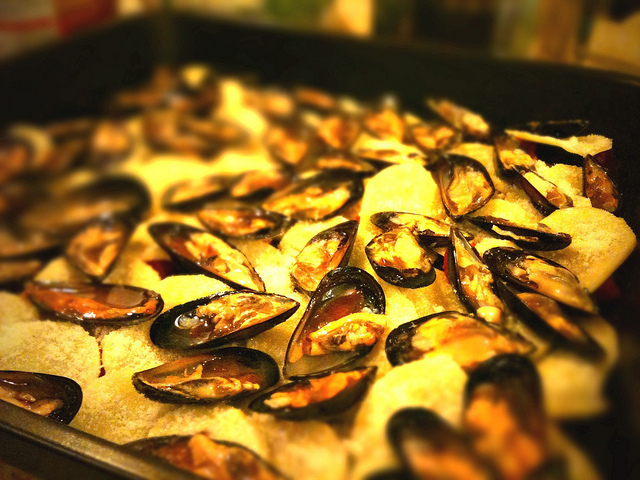 Also known as “tiella,” this is a traditional Puglian dish which layers mussels with potatoes, rice and onion. Leaving meat out of the equation and highlighting seafood, vegetables and grains instead, this dish accurately reflects the typical Puglian fare. It looks complicated and involved, but really it is just a lot of chopping and layering of different ingredients. Much controversy surrounds the possible addition of boiled zucchini into the mix! 1. Clean and brush well the mussels in abundant water, put them in a pan with minced garlic and let them open over medium heat. 2. Remove the shells and filter their liquid. 3. Clean, peel and cut the potatoes; put half of them on the bottom of a pot, already greased with oil, season them with pepper, parsley and minced onion. 4. Cover all with rice, add the mussels and the other potatoes. 5. Add some pepper and oil, cover with mussels' cooking water as well. 6. Place the pan into the oven at 120 C and cook for about 45 minutes. 7. You don't need to salt them because the cooking water of the mussels is already salted. 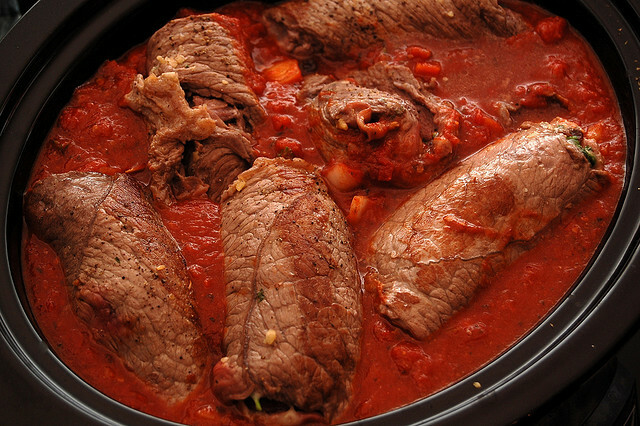 These meat rolls, cooked in tomato sauce are one of the most typical and traditional dishes in the Puglian cuisine. They are generally served as the second course at Sunday lunch and the sauce they are cooked in is used on pasta for the first course. 1. Shred the pecorino cheese . Clean and wash parsley and basil. 2. Spread out the horse slices; the slices must not be too thin. If they are thick pound them lightly. 3. 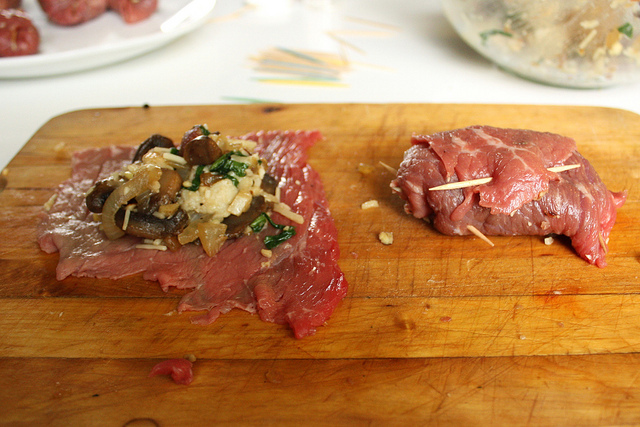 Season to taste with salt and pepper; arrange some parsley leaves, garlic pieces, fat strips and cheese slices on each. Roll up and tie with kitchen string. 4. Put the rolls and olive oil in a pan; let them fry lightly on all sides. 5. Pour in the red wine and let it evaporate partially. 6. At this point, add the puréed tomatoes and onion. Keep on cooking on medium heat, half-covered, turning now and then, until the meat is tender and the sauce reaches the right consistence. Add hot water or stock only if necessary. 7.Switch off the gas and add the basil leaves after cutting them with your fingers. Stir. 8. Serve the rolls in their sauce. 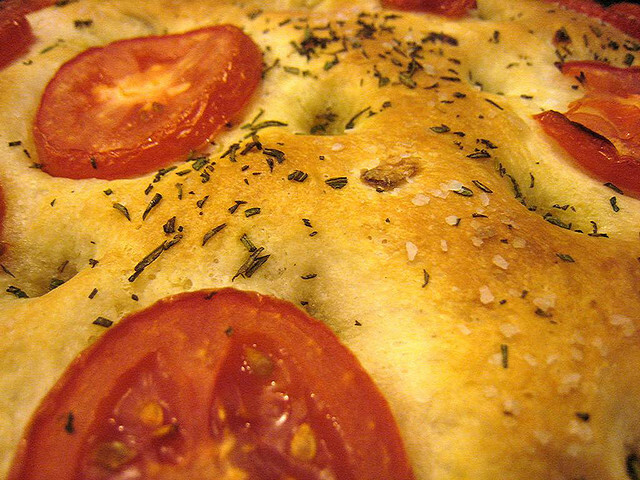 In most parts of Italy, focaccia is a flat bread, often dotted with oil and sprigs of rosemary or bits of tomato, that is quickly baked, like a pizza, on the floor of a wood-fired oven. Traditionally, this was the bread that went in first, to test the oven's heat. 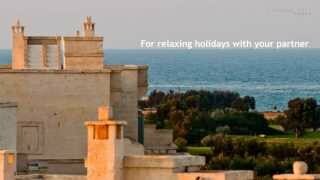 In Puglia, however, things are a little different. Here, the same word, focaccia, refers to a free-form bread, something like a pizza, that is traditionally topped with tomatoes and/or black olives. 1. About 20 minutes before making the dough, peel the potatoes & boil them until they are tender. Drain & mash them. Use the potatoes while they are still warm. 2. Stir the yeast into the warm water in a large mixing bowl. 3. Add the flour, potatoes & salt in two additions. Mix together. Knead for 10 minutes. Place the dough in a lightly oiled bowl, cover & let rise till doubled. 4. Divide the dough in half & shape into a ball. Place each ball into a well oiled 9" round baking pan & stretch the dough towards the edges. Cover, let sit for 10 minutes & then stretch a little more. Cover again & leave until it has doubled. 5. Preheat the oven to 400F. 6. Dimple the dough with your finger. Sprinkle with olive oil & spread with tomatoes, capers, salt & oregano. 7. Bake for 25 to 30 minutes until golden. 8. Cool on wire racks & eat at room temperature. Hi Bonnie, please have a look here http://www.charmingitaly.com/top-5-italian-desserts/ Thanks for popping by! Please provide a recipe to make 'Tartufo di Pizzo'. Thank you!